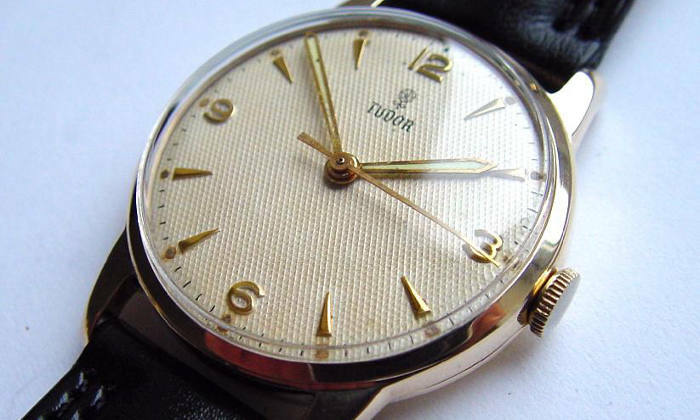 The market for vintage Tudor watches is booming, and it’s really no wonder why. These exceptional classic timepieces were the brainchild of Hans Wilsdorf, the German watchmaker and founder of Rolex. Wilsdorf established the Tudor watch brand and subsidiary company to supply the watch market with a lower-priced watch brand than Rolex, but with the same exceptional watch movement standards. While more modestly priced than Rolex, Tudor watches attain the same standard of dependability for which Rolex is famous. In 1954 Tudor launched its first legendary diver’s watch; the Tudor Oyster Prince Submariner 7922. Designed to fulfil exceptional criteria of durability, precision and reliability, as well as being waterproof, this model quickly positioned itself as a favourite amongst professionals. Our Master Watchmaker is a talented and exceptionally gifted watchmaker offering expertise in the repair, restoration and refurbishment of any vintage Tudor watch. Tudor watches have a complex precision mechanism that require an expert eye and expert hands for periodic servicing and maintenance to guarantee optimum performance. Our Master Watchmaker has extensive experience in the repair, restoration and refurbishment of all vintage Tudor watches. Whatever the state of your vintage Tudor watch, do not hesitate to get it looked at by our Master Watchmaker. Our past customers have been absolutely delighted with the work our Master Watchmaker has carried out on their Tudor timepieces. Even those Tudor watches coming into our workshop in a poor state have been given a new lease of life under the expertise of our Master Watchmaker. From dial restoration to complete refurbishment of the case, and expert repair of the Tudor precision movement using original replacement parts, we have the expertise to bring your Tudor timepiece back to life. We will lovingly restore any vintage Tudor watch. Bring your timepiece into us, or take advantage of our simple-to-use UK FREEPOST service. Our Master Watchmaker will carefully and thoroughly examine your vintage Tudor timepiece before any repairs are carried out, and we will discuss the costs involved with you before any work is started. We can source any replacement parts required to bring your vintage Tudor watch back into perfect working order. We can carry out any form of repair or restoration, including case refinishing, watch servicing or movement repair, and complete refurbishments. With our expertise your vintage Tudor watch will be back in prime condition again. We will take care of your vintage Tudor watch from start to finish, and carry out repairs and restoration work with the utmost sensitivity and expertise. We are absolutely confident you will be delighted with the results, but for peace of mind we offer a minimum 12 month guarantee for all work undertaken. You can ship your timepiece to us from anywhere in the UK using our Royal Mail Special Delivery FREEPOST service. Your vintage Tudor watch is insured for up to £20,000 throughout its postal journey, from the moment the package leaves your hand to when it is posted back to you. Before we commence any work, we will always discuss any repairs and costs with you first. We would love to repair any vintage Tudor watch from around the world. Outside of the UK you will have to organise shipping, other than that you can expect the same exceptional watch repair service.